Picture driving along golden beaches that stretch for miles, exploring lush green rainforests and swimming in freshwater lakes. Now add plenty of birds, marine life, the occasional dingo and a 4WD and you’ve got the perfect Fraser Island experience. Located just off the Fraser Coast near Hervey Bay, Fraser Island is best explored by 4WD and with Palace Adventures at the wheel, you’re set to have an experience of a lifetime. Palace Adventures work by having an experienced tour guide drive the lead vehicle whilst the rest of the group have the opportunity to drive the remaining 4WD vehicles ‘tagging along’ behind them. Each night of your tour, you’ll retreat to a purpose built camp site located along the eastern beach. With an exclusive camp trailer, you can enjoy nights in the Australian bush with the comfort of a specially designed weather-proof camp kitchen and camp tables. Note: Travellers will need to have arrived in Hervey Bay the day before departure. Daily itineraries will also vary, depending on tide and weather conditions. 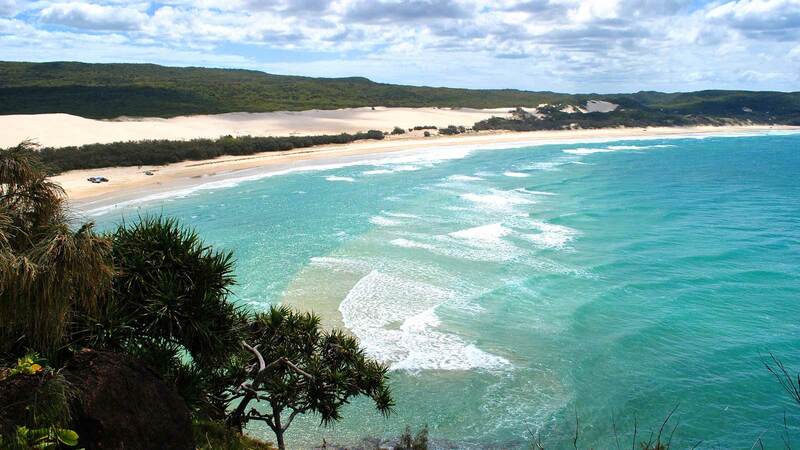 A $30 insurance fee is payable on arrival to your Fraser Island 4WD Tag-A-Long Tour. To drive the vehicles you must be over 21 years of age with 2 years driving experience.